“Noise Solutions is aligned with Burnett’s philosophy of attaining high safety standards, respecting the environment and having concern for landowners, which made this project that much easier,” said Bart Walker, Burnett Oil Company Vice President of Production for the Appalachian Region. When Bart Walker, Burnett’s Vice President of Production for the Appalachian Region, and Rob Hilliard, the company’s Regulatory Manager, were researching locations to drill their first two wells in phase one of their compressor station project, it was near this facility that they chose to drill. The site is approximately 1400 feet northeast of the community center and baseball diamond, and 1100-1400 feet northeast of a small church and an occupied house. The last thing Bart and Rob wanted was to have the loud, consistent drone of the compressors interrupt church services, or have any kind of noise impact kids and their families at the baseball diamond and the Community Center. 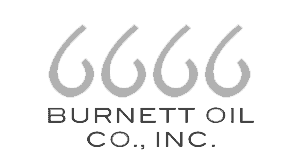 First and foremost, Burnett Oil Co., Inc. puts a high priority on environmental stewardship and building strong relationships with the communities where their operations are located. Before they begin any project, they look into who they need to meet with to discuss any potential concerns. In this case, Bart met with the three Springhill Township Supervisors to discuss in detail what Burnett wanted to do. 1. There is a creek nearby called Rubles Run that they absolutely didn’t want polluted because it’s protected as a cold water fishery by the state, and it’s where some residents of Springhill Township get their water supply. 2. 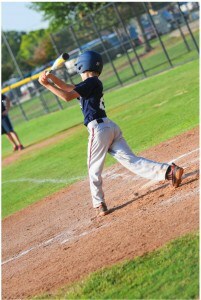 Kids play little league baseball at the Appalachian Community Center and they didn’t want the noise from the compressors overpowering games or the cheering in the stands. Bart certainly didn’t want that either, so he made a commitment to the supervisors and the community that Burnett’s Compressors would not impact the ambient noise level that they all currently live with. Burnett’s goal was to not impact residents’ lives by making more noise. Before beginning construction, Burnett conducted a sound survey by placing a microphone on the mound at the little league ball park to take readings over a seven-day period. They determined that the average noise level at the Community Center ranged from about 50-55 decibels. As a result, Bart set a goal of 50 decibels at 1400 feet from their compressors, where the little league ballpark is located. Bart and Rob knew this was not going to be an easy threshold to meet. Adding to the challenge is the topography of the area, which is fairly flat with little topographic interference to provide natural attenuation between the compressor station and the community center. At that time, the state of Pennsylvania didn’t regulate noise related to Oil and Gas, and there weren’t any zoning laws in Springhill Township. The only noise ordinance for the area sat with Fayette County which stated a maximum of 90 decibels at 25 feet from the property line. Knowing that, Burnett could have put in their compressors without thinking about the impact to the environment or to the quality of life of people in the community, and still easily met that ordinance. Without noise attenuation around the six compressors, they would still be around 60 dBA at the property line. However, that goes against Burnett’s operating practices, their strong reputation and moral principles. Burnett’s goal was to ensure their compressor station had zero noise impact on anyone playing ball at the Community Center, or to people living and playing in the area. Bart and Rob began to look at companies involved with building acoustic enclosures for compressors and they invited a variety of vendors to Burnett Oil Co., Inc. to discuss their offerings. In their search, they came across Noise Solutions and saw that the company offered a wide variety of creative options for noise attenuation, so they invited Steve Morgan, Vice President of Business Development, and Lindsey Sackett-Apland, in Technical Sales, to meet with them in Pennsylvania. What impressed Bart and Rob the most was the commitment that Noise Solutions makes to meeting or exceeding the client’s needs and expectations. Noise Solutions could guarantee the zero noise-add that Burnett was committed to achieving. They could meet the challenging threshold of 50 decibels at 1400 feet, and that was a big factor in the decision to give the job to Noise Solutions. “That was probably the biggest influence in our decision because we knew that if they put it all together and it didn’t work the way Noise Solutions said it was going to work, they would come back and fix it,” said Rob. The other piece that Noise Solutions offered that others didn’t was a depth of experience and technical knowledge. Steve, in his presentation to Burnett, was very precise in breaking down each individual component of the exhaust, the cooler, the vibration from the base of the motors, and he discussed electric engines vs gas engines, explaining how each contributes to the volume of noise. Bart knew it was going to cost a little more to implement this solution but to Burnett it was well worth the expense knowing that their compressors were not going to impact the community center or the lifestyles of people living in the area. During the first phase of the project, Burnett added two Ariel JGT/4 compressors, powered by Caterpillar G3516LE engines and cooled by Air-X-Changers 156 EH coolers, and a dehydrator with a capacity of 750 MBTU. The compressors were housed in an R12 insulated metal building. Each phase of the project will continue to add two more compressors to a total of six, with phase two beginning in 2015. In August 2011, Burnett commissioned Noise Solutions to conduct a Noise Impact Assessment to determine the environmental noise impact of their proposed facility during all three phases to recommend what would need to be done to achieve their strict noise threshold of 50 dBA at 1400 feet. Based on the results of the Noise Impact Assessment and the recommendations from Noise Solutions, Burnett contracted Noise Solutions to engineer, design, manufacture and install an acoustic building, a Zeron® Engine Exhaust Silencer, Cooler Fan Silencer, and Acoustic Ventilation to enclose their compressors and contain noise inside the building. The end result achieved the strict goals that Burnett was committed to. The company’s integrity is the driving force behind everything they do, and it’s their mission to ensure Burnett projects are not impacting the environment, neighboring communities and the people that live close by. It’s a model they all live by in each of the producing properties Burnett operates around the US. Noise Solutions manufacturing was solely based in Canada until the fall of 2013, when its second vertically integrated operation opened up in Sharon, Pennsylvania. The US facility encompasses a fully running 55,000 square foot manufacturing plant with an adjoining office where engineers, designers, project managers, administrators and some of the executive team work out of. With the enormous growth of business and opportunities out there, Noise Solutions is already looking to expand office space and manufacturing in Pennsylvania because they’re growing out of the space they have. The decision to expand Noise Solutions operations in northwestern Pennsylvania becomes part of the bigger story of the Marcellus and the economy boom. Marcellus is not just the largest source of natural gas in the US, but it has also helped to revitalize the manufacturing industry in a place that traditionally was one of the strongest manufacturing bases in North America.